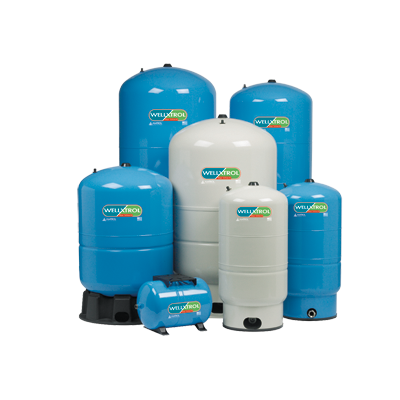 Under residential applications a water well pressure tank is used to control the systems pressure. Water, unlike air, cannot be squeezed or compressed into a smaller volume. 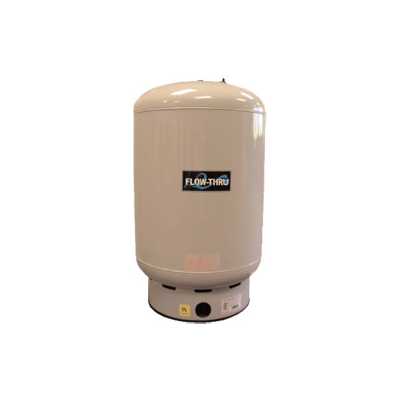 A pressure tank has air that is compressed by the rising water level in the tank as a means for storing energy. The compressed air resides at the top of the pressure tank and acts like a coiled spring. This in turn pushes down on the water at the bottom of the tank. When a fixture or faucet in the system is opened, the air pressure at the top of the tank forces the water to flow out of the tank (drawdown) and into the system delivering water to the fixtures calling for it. The pressure in the tank will then drop below the 40/ 60 psi* the system is set for and the pump will kick on to provide the system with continued water flow. The pump continues to deliver water under the pressure of the tank. As the tank refills, the air over the water is being compressed readying itself for the next call for water. If no water is being used then water will continue to enter the tank until the appropriate proportion of water is in the tank. When the call for water ceases, the pressure switch will kick off and the pump then stops. 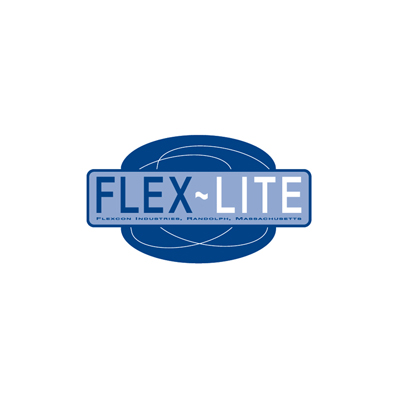 The two main brands we use are Flexcon & Well X-Trol. 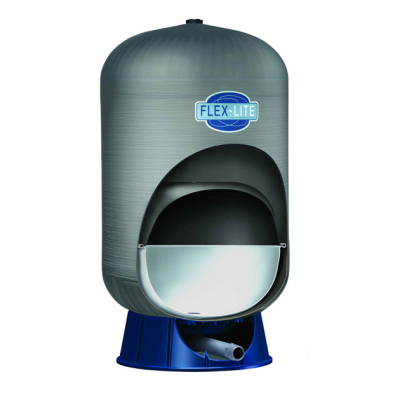 Flexcon Industries tank series Flexlite is a Fiberglass composite tank that is perfect for New England weather changes. 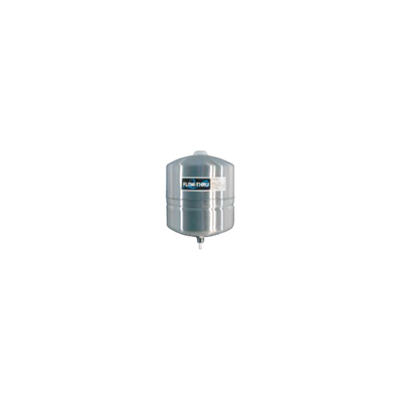 The Well X-Trol Wx series is a steel tank which is not recommended for damp basements as they tend to rust over time.